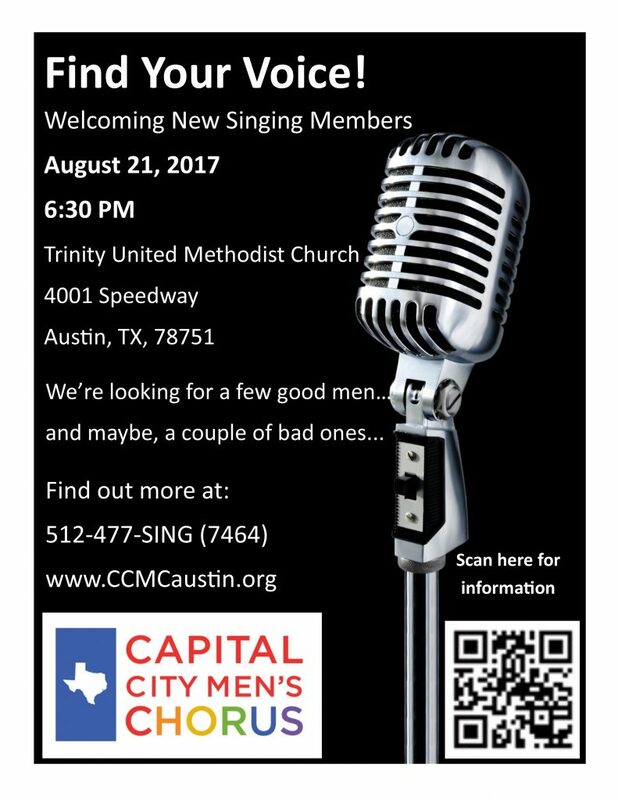 The Capital City Men’s Chorus will hold auditions for new members August 21, 2017. Auditions will start at 6:30 pm, before our rehearsal at 7:15 pm. The auditions and rehearsal will be at the Trinity United Methodist Church, 4001 Speedway Austin, TX 78751.